Never Not Knitting Window Display At Loops! This is so cool I just had to share it with you! 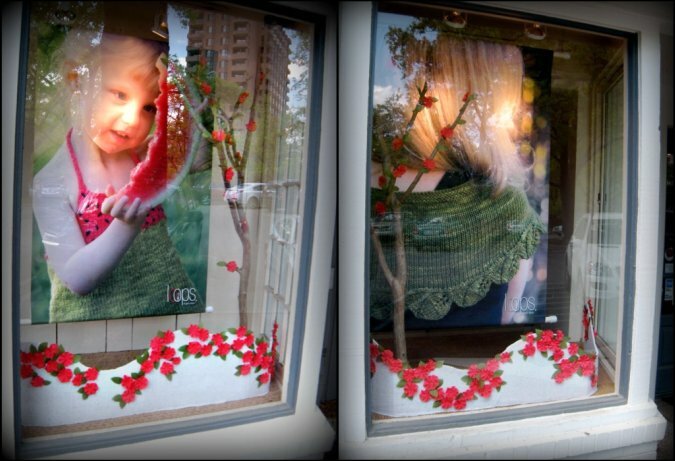 A few weeks back Shelley, the owner of Loops yarn shop in Tulsa Oklahoma, asked my permission to use my Haltermelon and Cedar Leaf Shawlette pattern pictures for a front window display for her shop. Above are the pictures she sent me of her new window displays. You can't tell from the pictures but these photo banners are 4 feet across by 6 feet tall! How awesome! I so wish that I could see the displays in real life! I cant tell you how amazing it feels to have a yarn shop prominently feature my designs like this. It truly is an honor! Thank you Shelley! 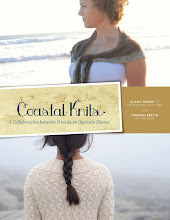 Never Not Knitting designs in print if you'd like to see my patterns in person. I just wanted to share with you this lovely version of my Cosette Wrap knit out of Malabrigo Worsted. This was made up by my lovely friend Claire to be included in the Never Not Knitting trunk show. What a wonderfully cozy sample this is. 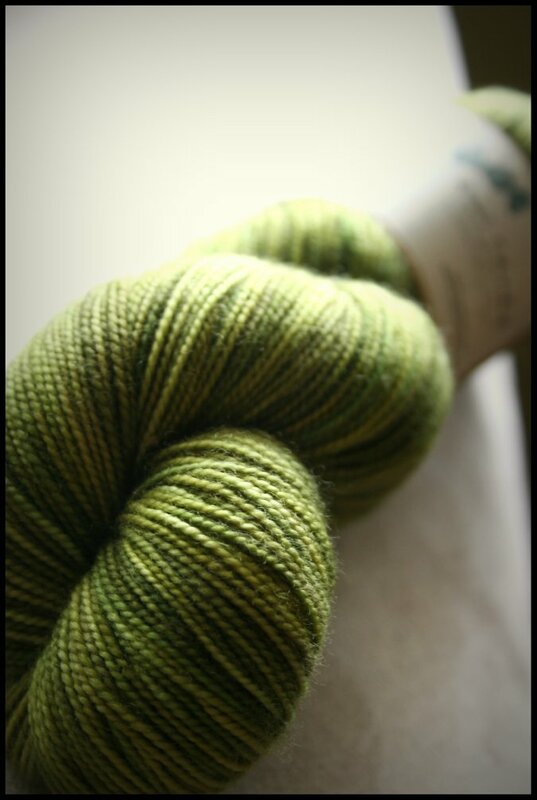 Malabrigo Worsted is such a soft wool and reasonably priced as well! 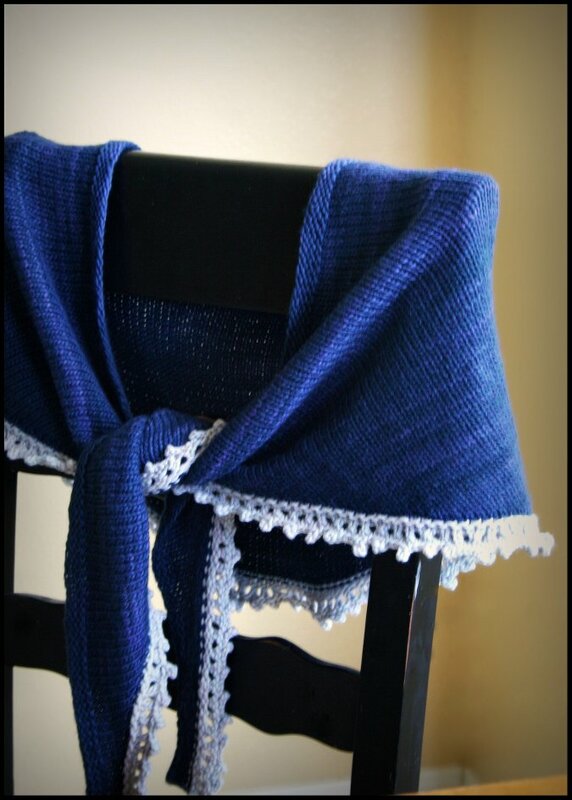 The body of the wrap is knit in the Paris Night colorway and the edging is in Polar Moon. 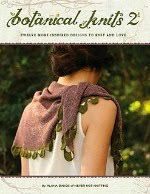 If your local yarn shop is on my trunk show schedule, you'll get to try on this cozy wrap for yourself! Wow, do I have a great drawing for you to enter! On my latest podcast episode I had the privilege of interviewing Kristin Nicholas, the author of Color By Kristin. book offers informative practical design information as well! 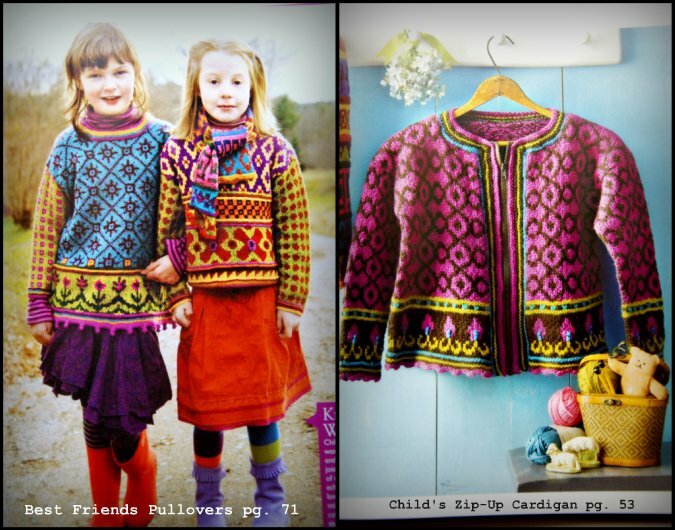 Here are my 2 favorite sweater patterns from the book. Don't they look like they would be so fun to make? 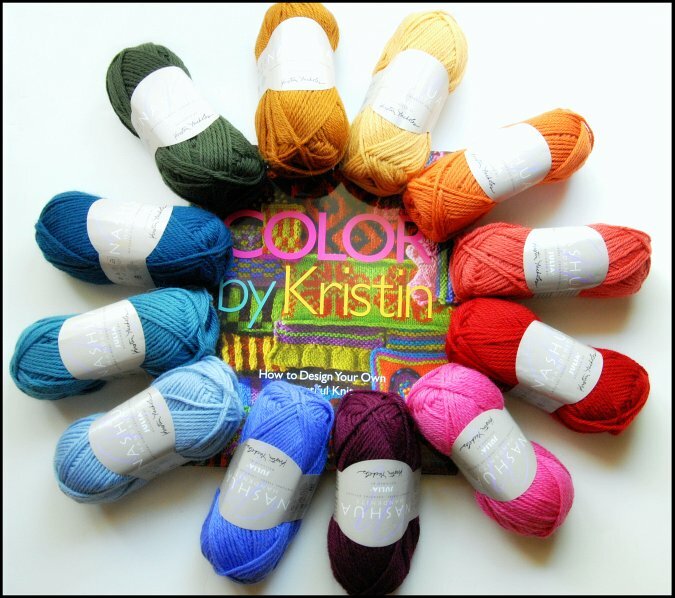 a yarn developed by Kristin Nicholas herself. What a great opportunity this is to play with color and try out the many great colorwork techniques presented in the book. To enter to win this fabulous prize just leave a comment (with contact information) under this drawing post! from your blog, twitter, or facebook account. In your comment, please show me where I can find your link. Remember, only one comment per person please. The winner will be announced May 1, 2010, so please check back then to see if you've won! Drawing Now Closed. Congratulations to Olof, the winner! The winner of episode 33's drawing giveaway is Pandora's Box of Fiber! Congratulations! Download the Mp3 for Episode 34 HERE. Yarn On The House Interview! Yarn on the House blog! Yarn on the House is a really fun blog! Veronika posts a drawing and gives away yarn every single week! How great is that? 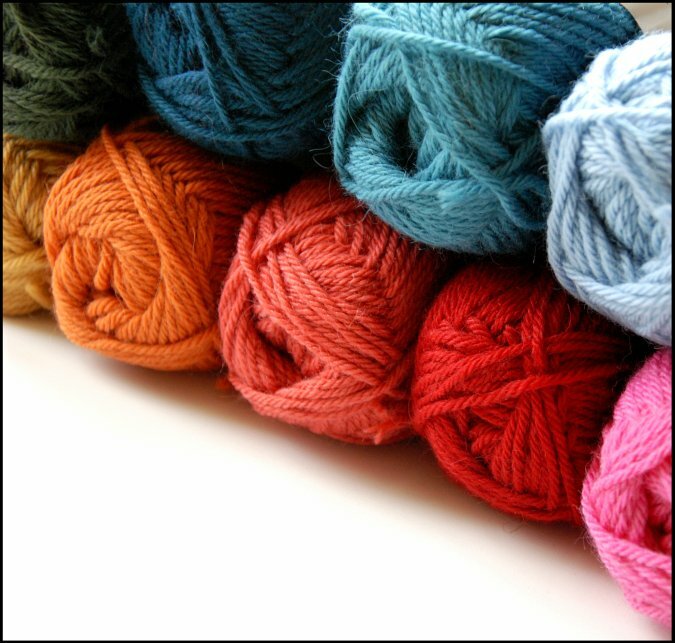 If you are as yarn obsessed as I am, this is definitely a blog to subscribe to! Here is this weeks giveaway! Click here to get all the details and to enter to win! 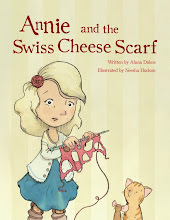 Thank you Veronika for featuring me this week! As you might have noticed lately, I've been making a few changes around here! to purchase several patterns at once instead of one at a time. View the pattern store tutorial below. I'm knitting myself some new socks! They are really fun too! The pattern is the Snicket Socks pattern and can be found for free here. yarn to make this project. I just love the way it looks knitted up. The shades are blending very well in my opinion. The little bit of variegation makes it almost look like its sparkling. I cannot wait to wear them! Psssttt.. The "NNK Green" limited edition colorway is now SOLD OUT! But you can still preorder it here if you'd like to snag some for yourself from the next dye batch! 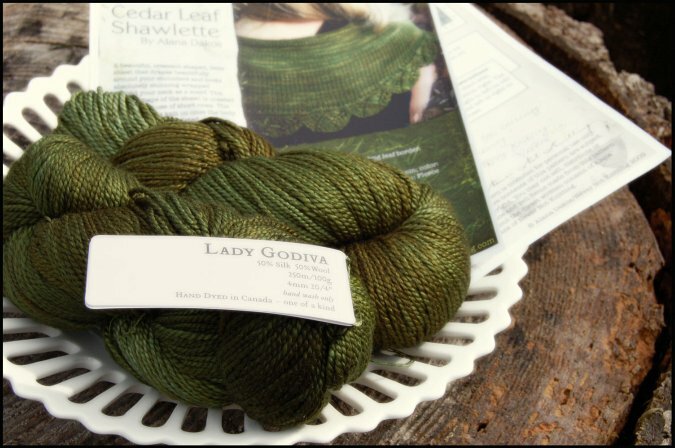 Never Not Knitting Green Yarn Giveaway! 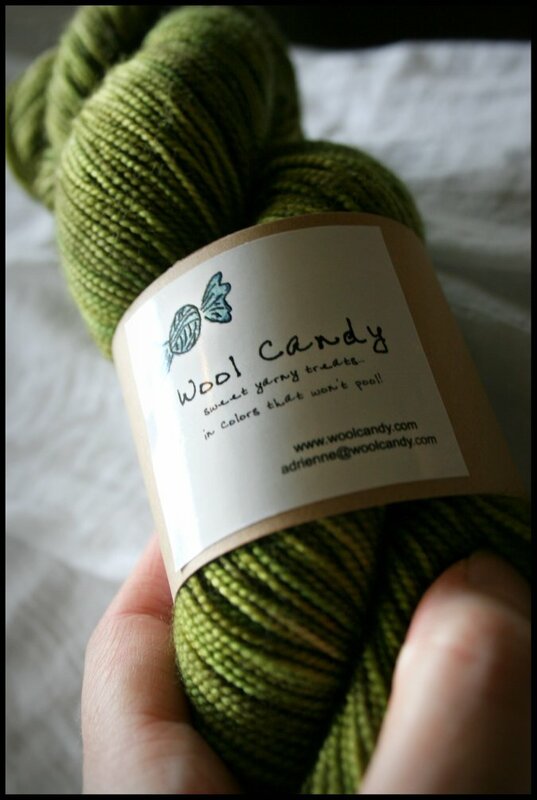 This is Meringue Merino by Wool Candy in an extra special limited edition colorway! I am so in love with this color! It's the most lovely blend of my favorite green tones. I've started a pair of socks with it, I'll be sharing pictures very soon! 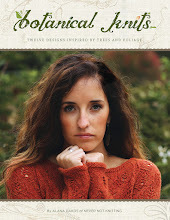 This yarn is exclusively available here through The Fiber Fix online yarn shop. The Fiber Fix by leaving a comment (with contact information) under this post. Amelie sock and Molly hat pattern to the winner. Both patterns would be perfect for this yarn! The winner will be announced on April 15th, 2010, so please check back to see if you've won!
" 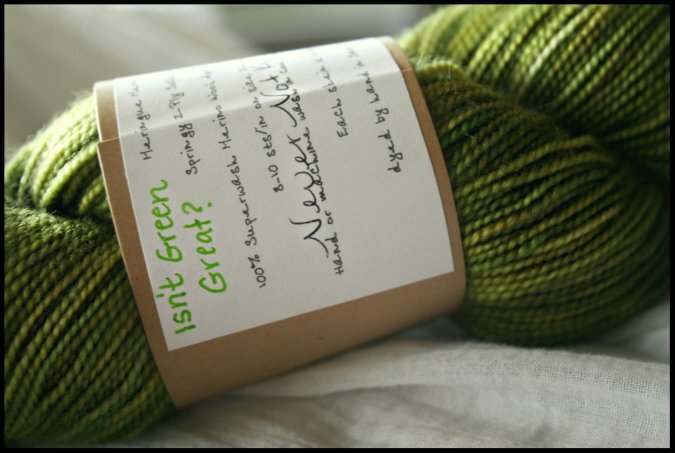 I entered to win a gorgeous skein of the "Never Not Knitting Green" yarn on nevernotknitting.com! @nevernotknittin "
Drawing now closed! Winner is Pandoras Box of Fiber. Congratulations! 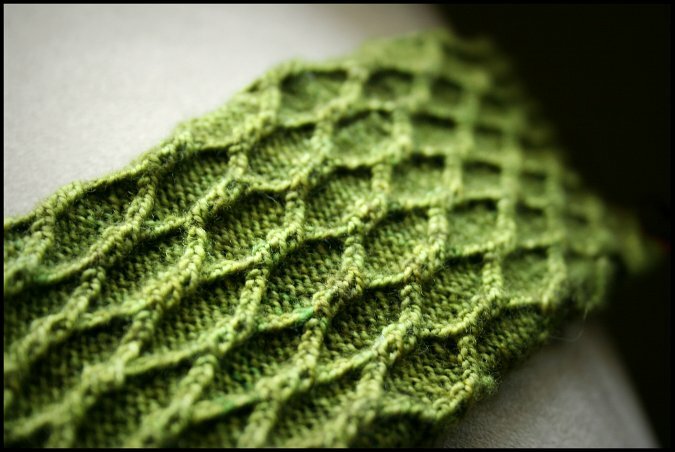 Never Not Knitting Green Colorway! Yay! The winner of Episode 32's drawing giveaway is Teri P! Congratulations! *Check back in a few days for a special drawing blogpost for you to enter to win a special prize! Download the Mp3 for Episode 33 here.